I have been wanting to make cheese since Joan, Chocolate, Chocolate and More, mentioned it several weeks ago. I also found several recipes on the internet to make homemade cheese. I never dreamed it would be so easy. 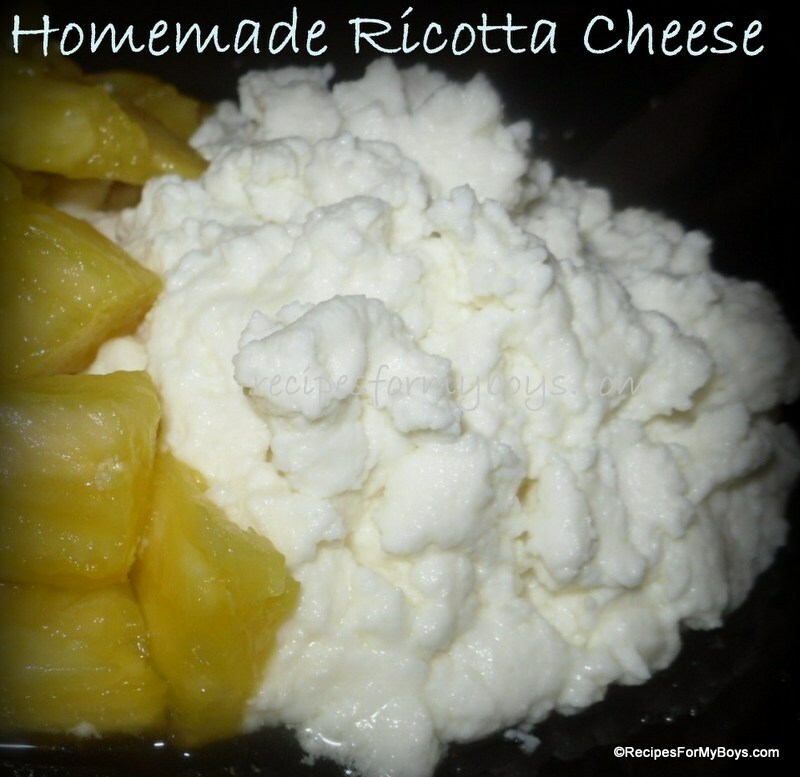 I decided to make homemade ricotta cheese with the ingredients I had on hand. Using vanilla yogurt instead of whole milk regular, gave this a hint of vanilla that I really like. The yogurt was also lowfat a plus since there is whole milk and heavy cream in it. ~smile~ I also used coffee filters because I didn't have cheesecloth on hand. Have fun and stick around.,,,,I'm going to try more cheese recipes very soon! <3 and hugs!